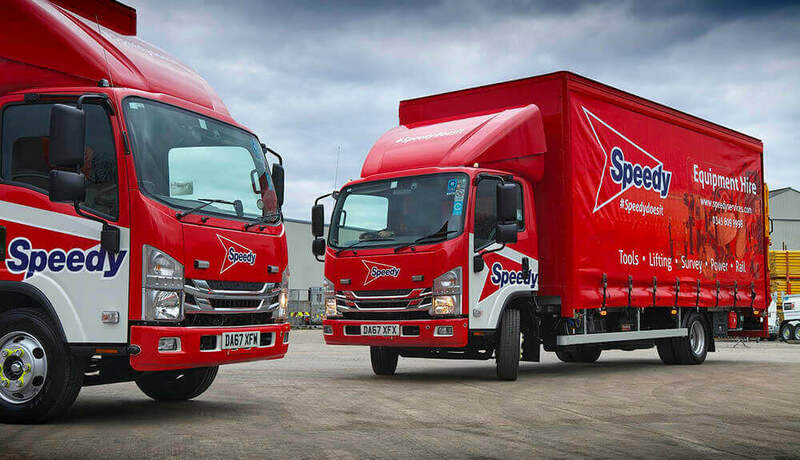 As their latest 19 Isuzu rigids go into service, Speedy Hire will now have had 60 Isuzu trucks running in its fleet since 2009, with the Isuzu marque becoming a permanent fixture in Speedy Hire’s commercial vehicle fleet. Speedy Hire’s recent 19 vehicle order for Isuzus consisted of 16 Isuzu Forward 7.5 tonne curtainsided rigids with taillifts and two Isuzu Forward 7.5 tonne rigids with beavertail plant-carrying bodies, together with a single Isuzu Forward 7.5 tonne rigid with a drop side body to fencing specification. Each Isuzu is the Forward N75.190 model specified with the Easyshift automatic gearbox, while all three different body types have been supplied by Speedy Hire’s preferred bodybuilder, PPS Commercials Ltd in Bury, Lancashire. All 19 new Isuzus will be working throughout Speedy Hire Centre’s UK network, ranging from Inverness in the North to St Austell in the south-west. The latest Isuzus have been incorporated into the 200 strong Speedy Hire fleet on a phased basis, with the final remaining vehicles going into service by April this year. From day one of the relationship between the two companies, all of the new Isuzus have been purchased through local dealer Warrington Vehicle Centre and it has been the consistent support of ITUK and Warrington Vehicle Centre that has been an essential ingredient in the long-term success of Isuzu in the Speedy Hire fleet. “Over nine years we have found that if we do ever have a problem then Isuzu Truck UK and Warrington Vehicle Centre are very quick to support and help us. Not forgetting that we operate our Isuzus nationally, the unwavering support we have received from their extensive national dealer network has also played a significant role in our continued support of the Isuzu Truck brand” added Mark. “The names of Isuzu Truck and Speedy Hire have become synonymous at 7.5 tonnes and it’s pleasing for us to have such a successful long-term relationship with Speedy Hire over 9 years, and now for many more years to come. 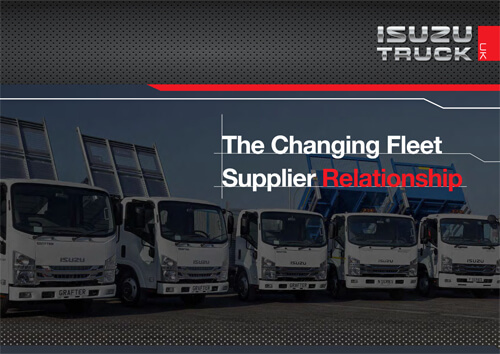 We have been able to work closely with them in this period to ensure that, not only do they benefit from trucks that are ideal for their particular operations but also that the trucks have been supported by Isuzu’s award-winning CARE service throughout their working life” said Pete Murphy, managing director, Isuzu Truck UK.